Nintendo has confirmed that it will not be dropping Wii prices for the Christmas season, saying that the system will remain at the $249 mark for the foreseeable future. 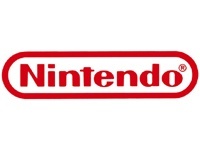 Nintendo's Senior Vice President of Marketing George Harrison, who announced his retirement from the company earlier in the year, said, "We'll stay at $249 for the foreseeable future. We are still selling everything we can make." The statement comes after moves by both Sony and Microsoft to cut prices in an effort to boost holiday sales: Last week, Sony cut the price of its 60 GB PlayStation 3 in Europe and introduced a lower-priced 40 GB model, while Microsoft reduced Xbox 360 prices earlier in August. Unlike its competitors, however, Nintendo has been under no real pressure to lower Wii prices for the holidays. Nintendo of America President Reggie Fils-Aime said the company still wouldn't be able to meet consumer demand for the Wii console this Christmas, and had previously commented that Sony and Microsoft would "trade share" as a result of their cuts but would not have any real impact on Nintendo. No real suprise there then. Why is this news? It's like saying Bill Gates isn't going to drop the price of Windows to compete with other operating systems. There's no reason at all to drop the price on the lowest priced, highest selling console in the race.